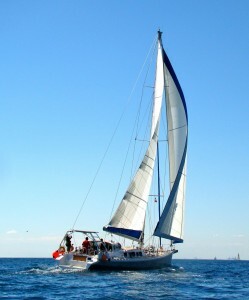 With our extra crew settled on board, we have planned to go through the serious Sergius narrows at slack. 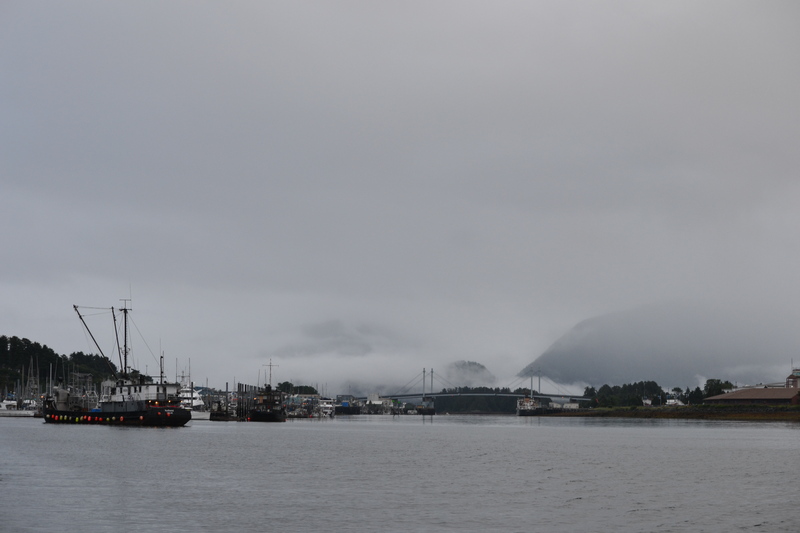 It means departing Sitka at 6:00 am in the usual mist and we can barely see the silhouette of Mt Edgecumbe, a volcano in the background. 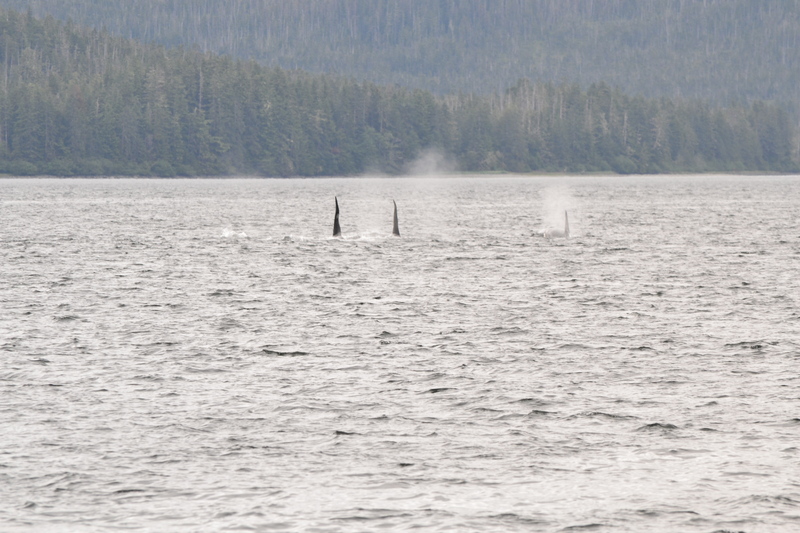 We are soon rewarded with sighting a young black bear, Sika deer, and a pod of Orcas traveling at high speed near Poison Cove. Going through the narrows at slack is not an issue as the water is deep and it is well marked. 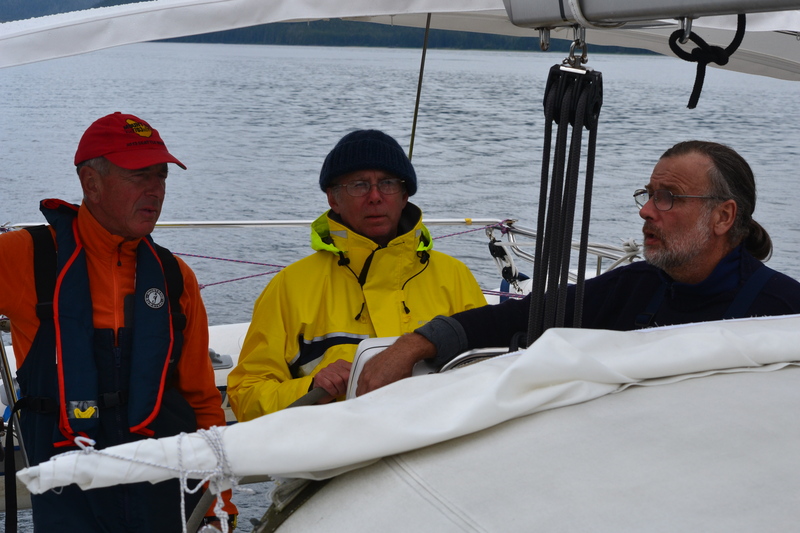 As we reach Peril Strait, we have a bit of wind and sail. 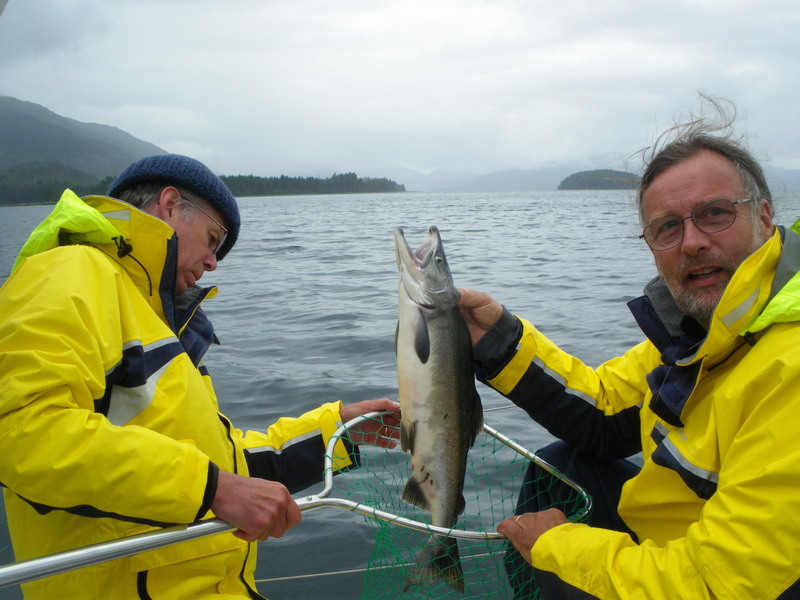 We also catch a pink salmon while under sail, big enough for 4 jumbo servings and some bait that we use to catch Jumbo (real jumbo) Dungeness Crabs. We release the females and a small rock crab and get offered more crab by a Sitka family renting the rangers’ cabin in the bay. They come here to practise shooting large caliber semi-automatic guns. They probably felt bad about the noise. Anyway, we can only have 3 crabs in our possession. So we steam the biggest and shell them right away to make crab cakes for tomorrow lunch. 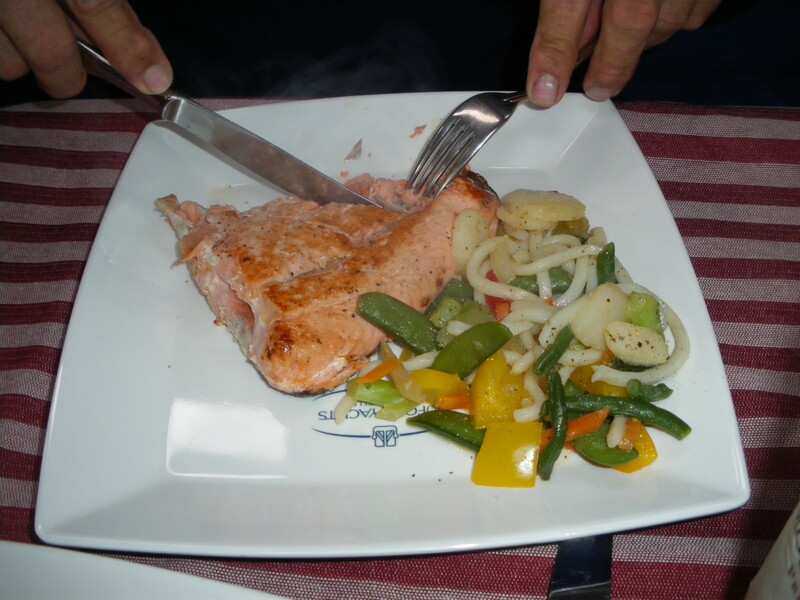 For dinner we have the Coho from the rescued boat which I pan fry in butter to rare and it is amazing. We were hungry, true enough after over 10 hours going and 60 nautical miles. A very fine day all in all and a sheltered inlet to kayak. Life is good. 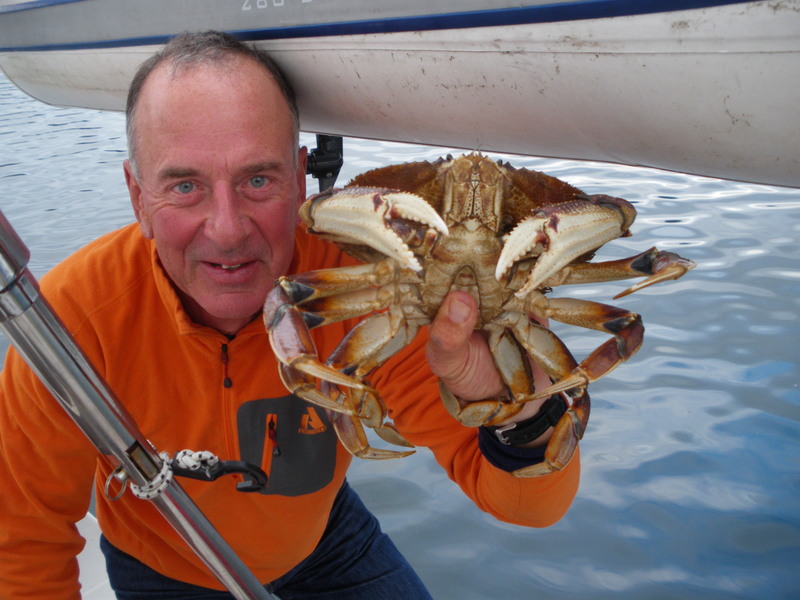 This entry was posted in The Log and tagged alaska, Apleton Cove, dungenes crab. Bookmark the permalink.